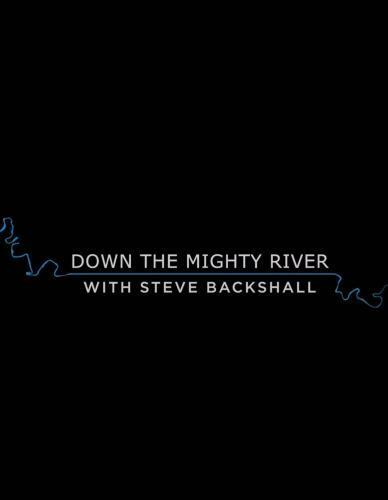 When will be Down the Mighty River with Steve Backshall next episode air date? Is Down the Mighty River with Steve Backshall renewed or cancelled? Where to countdown Down the Mighty River with Steve Backshall air dates? Is Down the Mighty River with Steve Backshall worth watching? Adventurer and naturalist Steve Backshall sets out to explore one of the wildest rivers in the world, the mighty Baliem River in the island of New Guinea, just north of Australia. In this first episode, Steve starts his journey at Lake Habema, the body of water where the Baliem River begins its life. Embarking on a perilous expedition, Steve encounters some of the most extreme white-water rapids seen anywhere on the planet. In this second episode, Steve and his crew kayak Baliem's lower gorge, one of the most extreme stretches of white water on the planet. With jagged rock walls looming overhead and crashing currents bearing down on the kayaks, the risk of capsizing is constant. Battling wild weather and dense jungle, Steve's explorations of the surrounding valley prove equally as challenging. Steve encounters large spiders, fierce wasp nests and a local tribe who have little contact with the outside world. Finally entering the tidal reaches of the Baliem River, Steve has to reconcile his passionate belief in conservation with a local tribe's determination to hunt crocodiles in the region. Down the Mighty River with Steve Backshall next episode air date provides TVMaze for you. EpisoDate.com is your TV show guide to Countdown Down the Mighty River with Steve Backshall Episode Air Dates and to stay in touch with Down the Mighty River with Steve Backshall next episode Air Date and your others favorite TV Shows. Add the shows you like to a "Watchlist" and let the site take it from there.